Of course, the biggest moving mistake you can make is to underestimate the time and effort moving takes. Scheduling services, gathering up moving equipment, boxes and tape, and actually filling the moving boxes requires a lot of planning in advance. 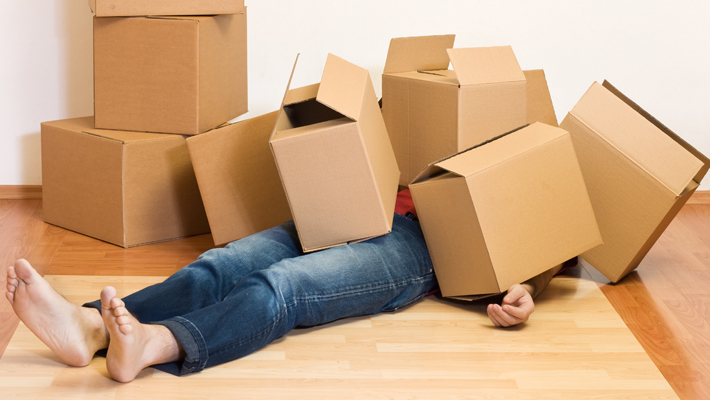 If you have hired professional movers for transporting your belongings, you may still be packing when they arrive-and that’s frustrating for both you and the movers. Plus it adds to the stress you already feel and increases the risk that one of your valued possessions could be damaged along the way. Avoid adding to the complexity of a household move, take a look at these six common moving mistakes many people make before moving day. Forgetting to de-clutter in advance. Moving is the perfect reason to do some advance clutter-management. Go through your home room by room and throw away or donate any belongings that you don’t need any more. Moving things more than once. Don’t box up a room only to move it to a different room before finally making it on to the truck. Instead, stage each area of your home for easy access. Forgetting to label boxes as you pack. It takes just a bit more effort to keep those sticky labels and felt tip pens on hand at all times during the packing process, but it saves so much time in the long run. Then again, you could simply hire Global Van Lines to do the packing and labeling for you! Stacking heavy boxes on top. Whether stacking boxes in your home or on the truck, heavy stuff belongs on the bottom. Otherwise, it could end up crushing the boxes underneath or toppling over. Failing to keep the toolbox accessible. Hammers, screwdrivers, pliers, and flashlights should all be set aside just in case. Keep the toolbox out in a special location that is easy to find and access. In fact, if you are a diehard DIYer, put the toolbox in your car to have on hand when you reach your final destination. Not calling a professional. Some people enjoy the process of moving, but most do not. Hiring a professional streamlines the process and mitigates that chance for unexpected delays or errors.